PETITION! Outlaw 'Gay Conversion' Therapy in Australia! 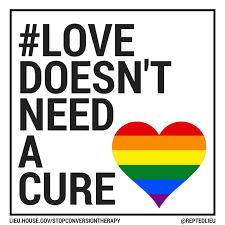 An investigation revealed gay conversion therapy has not disappeared in Australia but has simply gone more underground!!! 55,558 have signed. Let’s get to 75,000! I signed Freya earlier today. #19421 signatures needed to reach goal of 75000 ~ PLEASE SIGN! Signed, of course. Freya's as well.